Doshi Risington in Karapakkam, Chennai South by Doshi Housing Builders is a residential project. The size of the Apartment ranges in between 1024.0 sq.ft. and 2686.0 sq.ft. Doshi Risington price ranges from 61.38 Lacs to 1.61 Cr. Doshi Risington offers facilities such as Gymnasium and Lift. The project has indoor activities such as Pool table and Squash court. Bank loan approved from HDFC home loans, ICICI, State Bank of India, AXIS Bank LTD., LIC Housing Finance Ltd. and Tata Capital. The project is spread over a total area of 11.5 acres of land. It has 83% of open space. Doshi Risington has a total of 10 towers. The construction is of 19 floors. An accommodation of 496 units has been provided. Doshi Risington brochure is also available for easy reference. Chennai, known for its engineering and manufacturing establishments, IT/ITES companies and port-centric businesses, has a positive real estate market. A number of reasons support this positivity. Well-connecting roads, easy public transports, developing infrastructure and increasing number of job opportunities are some of the reasons that affect the market positively. End users drive the city's real estate market. The housing market is gaining momentum on the back of infrastructure developments. Where is Doshi Risington located? The project is located in Karapakkam, Chennai South. What are sizes of apartments in Doshi Risington? The apartment sizes in the project range from 1024.0 sqft to 2686.0 sqft. What is size of 2 bhk in Doshi Risington? The area of 2 BHK apartments ranges from 1024.0 sqft to 1027.0 sqft. 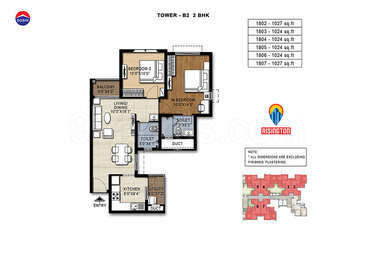 What is the area of 3 bhk in Doshi Risington? 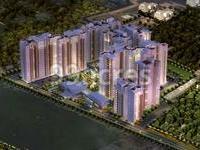 Three-room units (3BHK) in the project are available in an area of 1296.0 sqft to 1829.0 sqft. What is size of 4 bhk in Doshi Risington? The area of 4 BHK apartments ranges from 2616.0 sqft to 2686.0 sqft. What is the area of Doshi Risington?The total area that the project occupies is 11.5 Acres. Setting a benchmark in the construction domain by offering value rich homes at affordable prices, Doshi Housing is today an established and acclaimed organization known for its transparency. In its 37 years history it has instilled happiness in over 3100 families. And has delivered over 3.65 million sq.ft. of constructed space. Backed by a tradition of trust and a heritage of credibility, Doshi Housing with its stringent quality standards, continues to build a better tomorrow and a better world. uilt a responsive people-oriented organization. Expert personnel on every front are complemented by a robust infrastructure. Our commitment is to quality, timely execution, and offering maximum value to the customer. We have a proud track record of constructing all our buildings strictly as per law and obtaining completion certificate from CMDA Chennai Metropolitan Development Authority, which only a few builders have been able to achieve. Projects Delivered Over 3.65 Million Sq. Ft.
Doshi Housing caters to both the residential and commercial segments. The projects are diverse in size, design and concept, showcasing Doshi's tremendous versatility. Premium projects to entry level projects, mass housing to exclusive residences, heart of the city to upcoming locations. Doshi Housing has done it all with lan and integrity. Not surprisingly, over the years many of these buildings have become landmarks in the city. Understanding the complexities of investing in a home, all our efforts are directed towards making the transaction easier and more secure for the customer. Investing with Doshi gives a sense of comfort to the customer that can only come from the knowledge that Doshi Housing is dependable. Customers are sure there will be no compromise on location, planning, execution and delivery. Hi Roshan, please detail your query for more information.